Mature working person wanted. Living here is awesome. Your in the car for a minute one way and two the other for shopping centres. If not there is a bus stop out front. It's a thirty second walk to exercise track and parklands. On a good day 35 minutes to the city via the M1 (lol). Peaceful living. Its only 35 minutes to the beach for an evening swim on the hotter days or Lysterfield lake is 10 minutes up the road. NOT A PARTY HOUSE. This is my home. Property is located in nice quiet court. Ample off street parking. One minute drive to fountain gate shopping centre, Doctors surgery, public transport, gym and reasturants. 5 min walk to local mik bar. Only myself currently living at the property, you will have full use of the property with plenty of space and privacy. 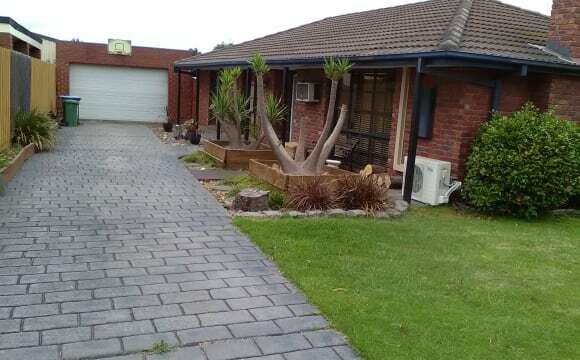 Extremely clean home, well looked after property. Nice usable front and rear yards. outdoor entertainment area. Four plus car garage located on-site, happy to discuss regarding garage. Table tennis table and pool table available for use. All bills and unlimited internet included. Contents insurance included. Sports oval located at the end of the court. I am looking for someone that's employed full-time, clean and tidy. happy to consider students Note: 2 weeks rent is required upon moving in . I also would request 2 weeks notice prior to you moving out. Note: washing machine, A/C and heating all available. The people, the food from the chef, the dogs, the house doesnt scrub up to bad either! MALE OR FEMALE :) 39 yr old female. Interests include cooking, fitness, sports, outdoor activities, and quiet nights in. Working full time. Not home too much. 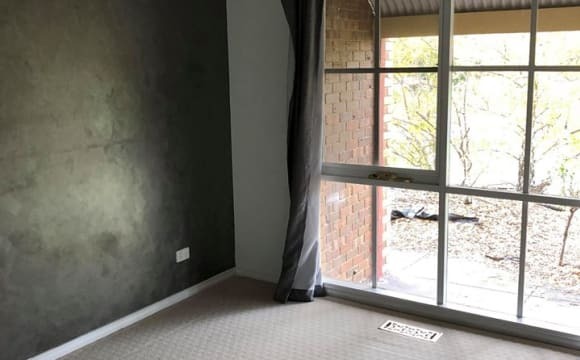 Located in a nice quiet street, within walking distance to Fountain Gate shopping centre, public transport (buses and train station), and very close to Monash Freeway. 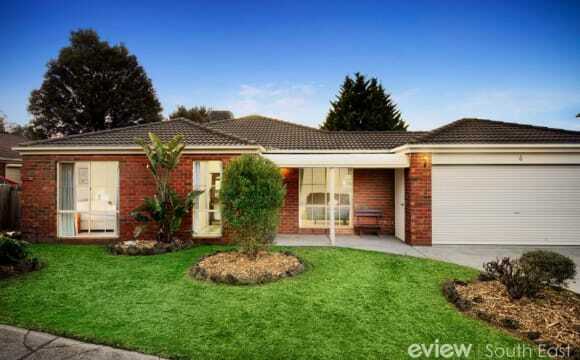 Also walking distance to Monash Uni (20min). Access to private PT studio within the property also included. Non-smokers only. Would prefer a likeminded housemate. Full time worker preferred and trained pets considered. *Own bathroom *Ducted heating *Internet included *Large backyard *BBQ *Plenty of street parking *LGBT+ ** All bills included in total rent payment. NBN100 / Speed pack 4 - central Air Continuing and Heating. Includes a cleaner every 2nd week and gardener who takes care of the lawns. Large outdoor entertaining areas. 4 bedroom house with one bedrooms available. Rooms have been freshly painted, new ceiling fans installed and have built in wardrobes. Tiled entry and lounge / dinning with 60” Samsung OLED TV, Netflix and Stan. Kitchen with gas stove top; electric oven, dishwasher. Main bathroom with separate toilet, laundry with washing machine and dryer. Outside is two entertaining areas. 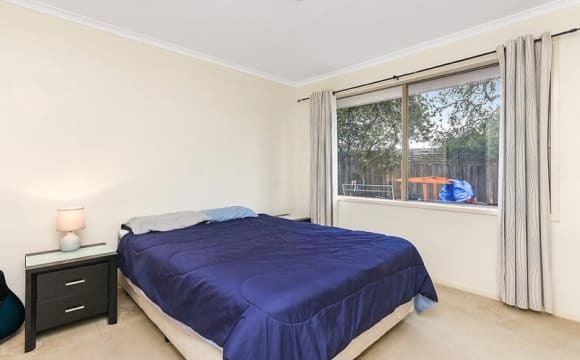 The location is close to many parks and reserves, Fountain Gate Shopping Centre, the M1 Freeway, Princes and Monash Highways, Berwick University and Casey Hospital. Three other housemates - all easy going and Zac - the dog (German Short Haired Pointer). A beautiful house in TIMBARA ESTATE in Berwick! Located in a nice, quiet residential area. 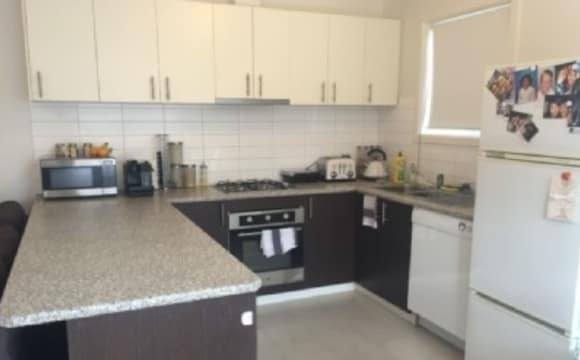 Easy access to Monash University, Chisholm Tafe, Casey Hospital etc. Close to public transport, Parkhill Plaza and Fountain Gate shopping center (walking distance to fountain gate via freeway underpass). Rooms come with BIR and fully furnished with a double bed, desk, bedside table and LCD TV. Common area fully furnished. Ducted heating and AC in living area. 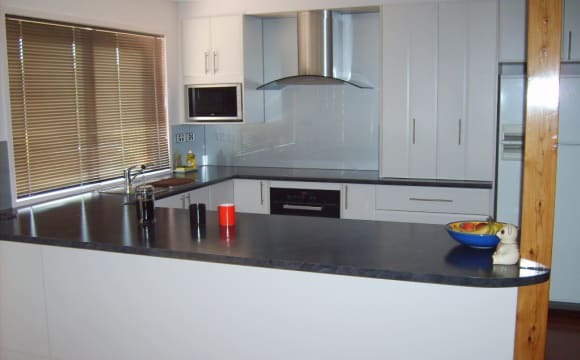 Well maintained, clean, tidy, secure place ideal for Uni Students, Tafe Students, Nurses, etc. Key less digital locks for each room. 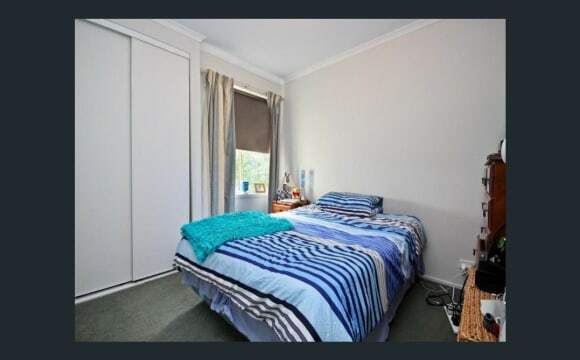 Rent includes all the untility bils and NBN broadband internet. House is secured with CCTV. This is a council registered rooming house. House is bright, clean and spacious, located in a quiet area. 5 minutes drive to fountain gate shopping centre, 2 min drive to the station and lesson 500 meters to the bus stop. You will feel quite at home! The room is clean and furnished with queen size bed with wardrobe, flexible with furnishings. Furnished living room with big TV and PlayStation, nice verandah with plants and large backyard for the occasional BBQ. Note: furniture on the photos are not the same as the current one. 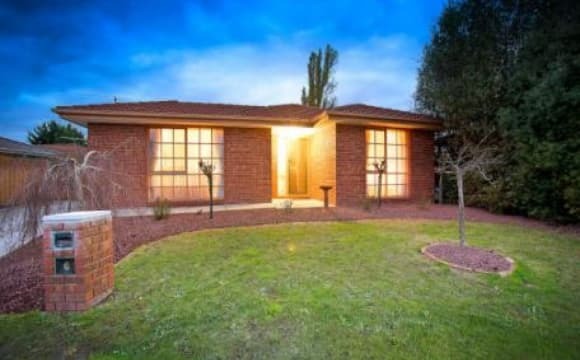 -2 mins away from Parkhill Coles, charcoal chicken, Johnny boys pizza, mad benji Cafe, fitnfirm gym etc -8 minutes from Berwick train station and 7 minutes to Narre Warren train station -8 minutes away from Chisholm university -8 minutes away from Federation university -8 minutes from St John of God hospital -2 minutes away from Timbarra high school -2 minutes walk to bus stop 834-835 -Private bathroom -Ducted heating/cooling -Own living area with smart TV Lots of parks nearby! Note: Move in date June 24th. This place is awesome because it's close to the shops (local coles + fountain gate) / close to the M1 and in a quiet neibourhood. I've newly renovated it and have some great plans for the backyard which will be great for hangouts etc. The house has air conditioning and gas heating in the main areas and I've fitted locks to the bedrooms to allow for privacy. We've got most furniture now that you're able to share. *Just bring the stuff for your room. *Please note the photos are from moving day so imagine that will some basic furniture. House mate goals: Looking for someone who's great company and can have a laugh. We're pretty easy going, honouring and respectful with one another so you'd need to be the same. Ideally we're looking for a christian bloke / lady but that's not a deal breaker. The room up for rent is pretty small but it has a double wardobe. I'm happy to also put some shelves outside in the hallway for overflow storage. *This single room is for one person only. We arn't looking to rent to multiple people that will share the room. A place to call home, as its so much more than 'just' a room. It's a big house with plenty of space to spread out in and do your own thing. With three living areas and everything you will need, there's even room for your furniture, if needed. As well as two large outside roofed patio/pergola areas for kicking back and relaxing, as well as a pool to cool off in. 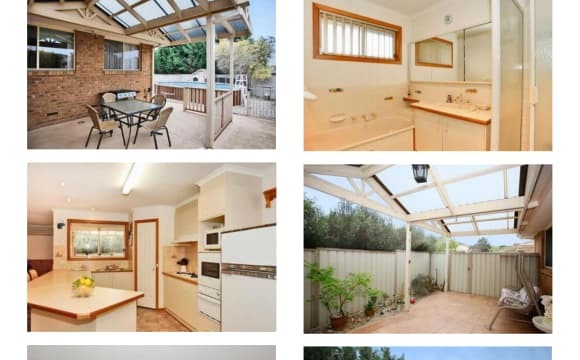 Located in a great area north of the highway and is a close / easy walk / drive to local shops, bus stop, freeway entrance, train station, Casey Hospital, Fountain Gate Shopping Center and the University / campuses.. I am a mature professional male that is currently sharing with one other male. Our third, has recently moved out onto bigger and better things, so have a room available. Male or female are welcome. It is not a party house though, but a nice easy going, relaxed, friendly home / environment, so will ideally suit someone looking for somewhere to call home, to be settled, and have security rather than constantly changing. Offering stability for all ALL bills are included, so it's the one price all inclusive, so there's no additional hided costs involved or to consider. It is a smoke free house / property, and not suitable for pets. Would not be suitable for young children and or a full time couple. Although children / friends visiting and partners staying over now and then, are ok. But lets discuss first. If you have a good attitude, are friendly and don't mind having a chat / laugh / drink now and then, and doing your bit around the place. All the while respecting each others privacy, space and things. Then this could a place for you to enjoy. If you have any questions or if your interested and would like a look / chat, then send me a message saying hi. House is / has: Two great (male) house mates -- lol Central location, close to all amenities, shops / transportation etc Space to be on your own, with room for your furniture Additional area / lounge for you to set yourself up in, tv etc Two outdoor roofed pergola areas A pool for those lazy summer days Additional storage available if required. 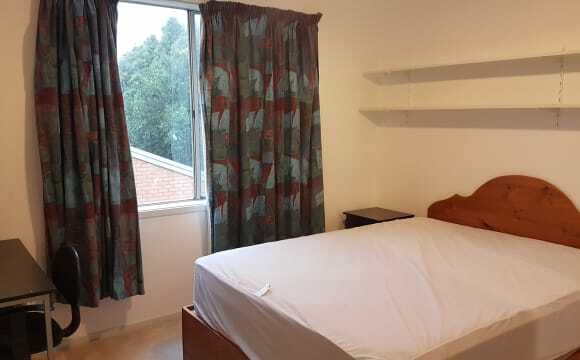 Room is / has : Larger than standard Fully carpeted Ducted heating, Built in double wardrobe with shelf Single bed / furniture available if required. detached house with 4 rooms (with bed,desk,cupboard and fan) land size 680 sq m. next to a small recreation park. 10 min. 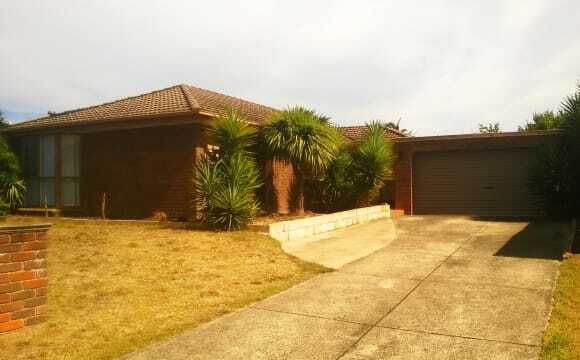 walk to Hampton Park Shopping Center and 25 min walk to Hallam Station.Quiet court area. Detached house with 4 rooms ,all rooms with bed,desk,fan and cupboard . Storage Garage and garden. land size 680m2 and next to a small recreation park. 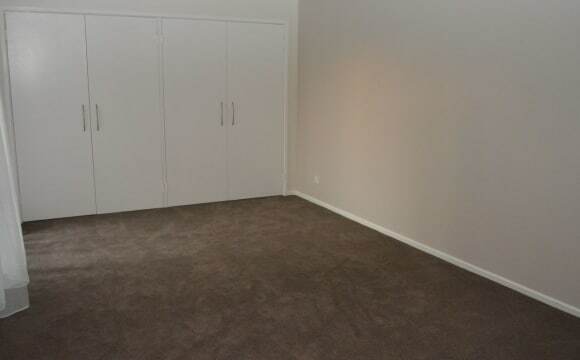 Quiet court area and 10 min walk to Hampton Park shopping area and 25min walk to Hallam Station. 1. Solar Panels (Cheap Electricity Bills yay) 2. 90mbps unlimited NBN internet (Telstra Tier 100 nbn bundle with premium speed boost) 3. Telstra TV box, use it all you want. 4. Heating and cooling (up to 40 and down to 18 degrees) 5. Big backyard and garden, because why not? 6. Double garage, the motorcycle will be removed soon from the last tenant. 7. Close to shopping centers, about 10 minutes walk to Aldi, bus right at the front of the house, if you got a car, fountain gate is about 10 minutes drive. 8. Friendly people, we accept a wide range of tenants, we are always happy to help if needed, everything is negotiable as long as you speak up. 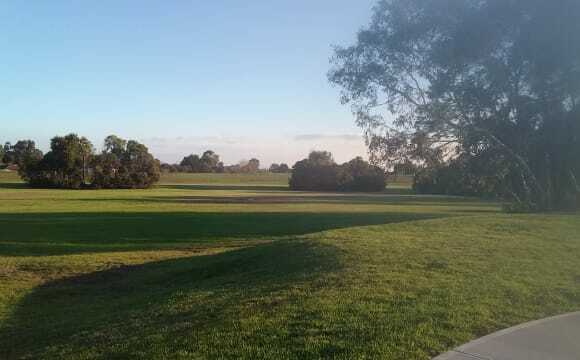 A very quiet area close to parklands, schools, public transport and freeway. 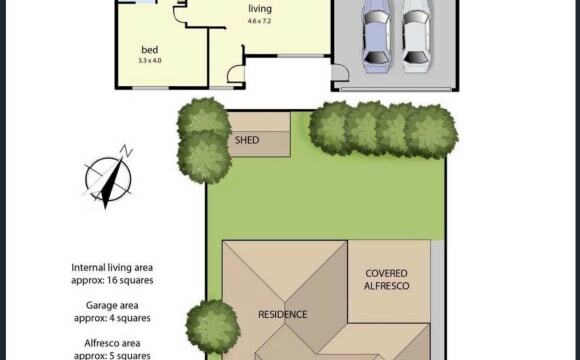 Air conditioning/heating, wifi, outside area with pergola and open plan living. Bright, open and clean space! 3 min drive to Coles, 8 min drive to Fountain Gate and 5 mins to the train station. 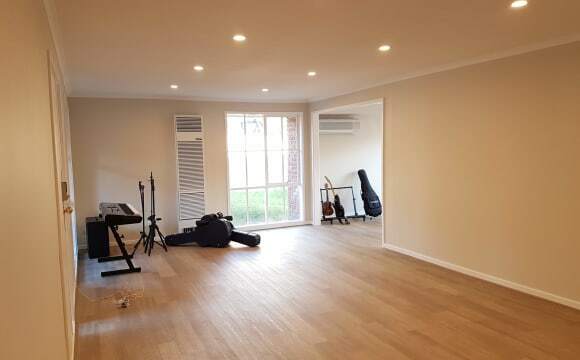 Brand new studio which has just finished being built. Has both heater and air conditioner. Bills and internet are included in the rent. We have unlimited NBN, with Netflix included. Air condition in the dining room and ducted heating throughout. Decent sized back yard. Living in a quite court. A minutes walk to the bus stop or 20 minutes walk to Berwick Station. A 5 minute drive to Fountain Gate Shopping Centre. All female, fully furnished house, however your bedroom will be unfurnished. 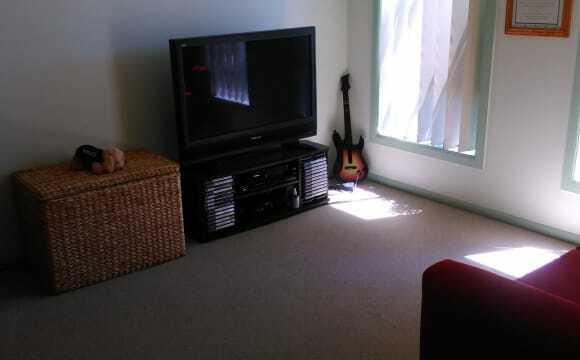 Rent includes all bills and is to be paid fortnightly at $340. Bedroom is available now. The house is kept clean and tidy along with being fairly quiet but up for hanging out, having dinner or watching a movie etc. You will have access to use everything available in the shared areas in the house. There are 2 lounge areas with couches and one with a tv. There is a dining table and chairs, dishwasher and other kitchen appliances. Laundry has an easy to use washing machine. There are 2 split systems (air con) and ducted heating also. Outdoor setting in undercover area is great to sit outside in the warmer weather. Parking available and room to store stuff in the garage or shed if needed. Everyone has their own space in the fridge, freezer, pantry, kitchen cupboards, linen cupboard and laundry. My house is located in a quiet street. You will share the house with 3 other female housemates. 27, 28 and 18 year old females working full time. Looking for a likeminded female who is working, keeps clean and will be respectful of others. Unfortunately I won’t be accepting any pets. 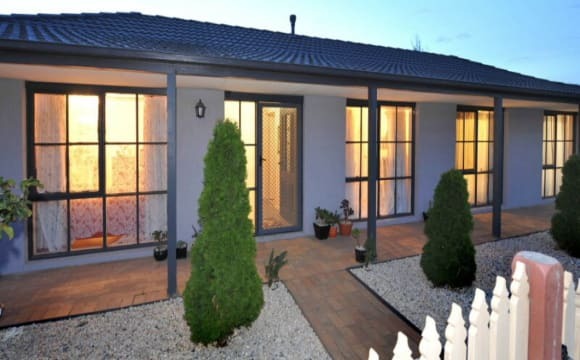 My house is close to fountain gate shopping centre, casey central shopping Centre, Narre Warren train station along with easy access to the freeway. There is a small shopping center within walking distance from my house as well. Message me to introduce yourself, tell me a bit about you (name, age, work, where you are coming from, hobbies etc) if you have any questions and to come and see the house. Thanks for looking. 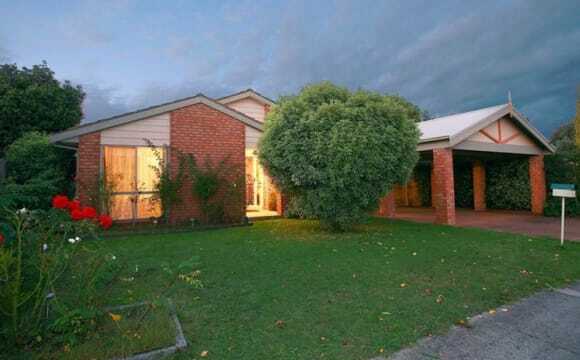 This house is nestled in Narre Warren North. It is complemented by luxury fittings, a formal entrance with sitting/entertaining rooms and a study. There are 4 spacious bedrooms, all fitted with built in wardrobes and serviced by a spa facility main bathroom. A sleek and stylish kitchen boasts Caesar stone bench tops and quality stainless steel appliances. The elegant dining and family rooms give you the space to relax. Features continue with ducted heating, evaporative cooling, solid timber floors, and swimming pool. New dining table. Double sized beds. Refrigerator is spacious. NBN broadband with unlimited data. You will have own bathroom. Only a few minutes driving distance to Hallam train station, Endeavour Hills Shopping Centre and Foundation Gate Shopping Centre. Monash Freeway is just at the corner. Single room available. Awesome share house. You will be living in a council-registered share house rated EXCELLENT consistently year-on-year. * 12 minutes walk to FU University and Chisholm Institute Berwick campuses * 12 minutes walk to train station. * 10 minutes walk to Berwick Village * 20 minutes walk to Casey Hospital * 7 minutes drive to Fountain Gate shopping centre * Appealing rooms with friendly housemates. * The house and your room are fully furnished. Or you can bring your own. * Your room is cosy with your own personal heater and ceiling fan. * Fire alarm in every room in the house for safety. * Your room door is lockable. * BBQ and outdoor area. * Rent includes utilities (gas, water, electricity). You do not have the added worry of having to arrange to have all the utilities connected, such as you would if you were to personally take out a lease on a rental house. * Unlimited NBN wireless broadband connection included with no extra fee. * Cleaning of the common areas provided on a fortnightly basis.. I am based in Narre Warren South. An older dude, who spends some nights at his partners place anyway. 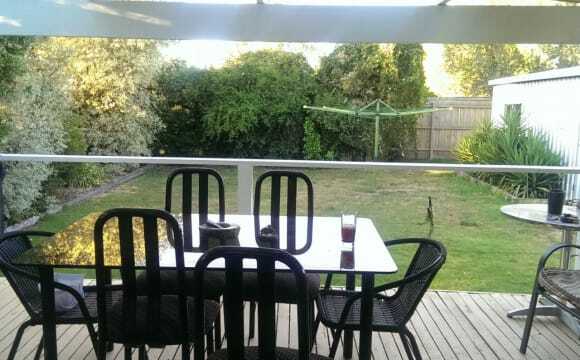 I am looking for someone who is neat, and preferably Vegetarian or vegan (But not a deal-breaker) For what I have on offer I am looking at $160 - If Vegie or Vegan $140 (all inclusive) Room with BIR, Window to rear yard, separate toilet and bathroom, own lounge space adjacent to kitchen. And a bit of storage option, but no garage. Room has locking door, house has locking windows and screen doors, alarm system (you will feel safe!) Though I have two offices, I only need one bedroom/ensuite and looking to sup some income for awhile. (maybe a year or more) Young 26 yo girl who has been with me (via flatmates) for 10 months has been great but she is moving on and in with B.F. It is a relatively quiet street with many long standing residents, Inc Me. You are welcome to come have a no-obligation chat. Perfect location：only 5 minute walking distance to Berwick train station，Coles, Federation Uni, TAFE, High Street cafes and restaurants，St Margaret School, Nossal Selective High School, Berwick Primary School，Gym, etc. Very close to Casey Hospital and St John of God Hospital. Very clean：renovated recently， two bathrooms, separate meal area and one living area. I am the owner of this property but I am not living here. My mother-in-law is a permanent tenant here. She is 70 year old very health and active. She lives in the master room with her own toilet. Another tenant is a master degree international student. He is a reliable gentleman, has been living here for almost a year and he works part time as well. Only one room is available for rent. So once this room is rent out, there will be only three people in total living in this property. No pets allowed. Since my mother-in-law is living here I need to make sure that she is staying with the right people. 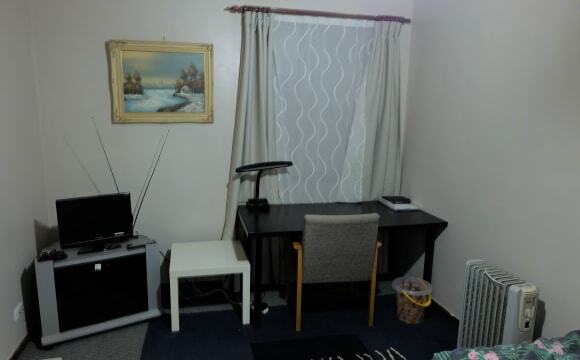 If you are a student or a person working part-time or full-time, looking for a place that you can come home to and relax in, somewhere quiet, with mature easy to get along with people who are clean and tidy and respectful and you are happy to stay for more than 6 month, please feel free to contact Michael. And the rent is only $170 /week including water, electricity, gas and Internet bills. 2 Single rooms available : Bigger one - $155/week shared bills; Small one - $145/week shared bills; 1 month bond. Min stay 6 months, Single Working Uni students and Professionals are preferred. Fully furnished rooms, Central heating and Cooling system with Split air conditioner. House is located in quiet court. Bus stops, supermarket, wide range of restaurants and take away shops are all within 5 minutes walking distance.